With every Christmas there are always new Christmas related books and movies coming out. I’d like to introduce you to 2 more, soon to be classics like all the others. 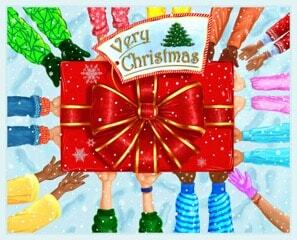 The first one is called Very Christmas and it’s by Simone Mets. This book is very colorful, with bright greens, reds, blues, and yellows. Each character has their own speech bubble, so you always know who’s talking. The next book is called 12 Joys of Christmas and it’s by Thomas Seibold and Sherri Seibold. 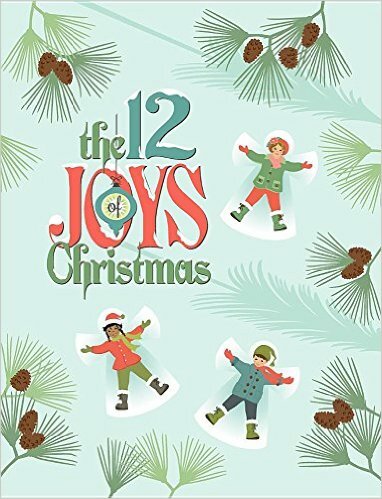 Much like the beloved poem and song “The 12 Days of Christmas,” The 12 Joys of Christmas, available in hardcover, paperback, and as a mini gift book, uses a building and repeating countdown, introducing a new illustration of holiday joy as each page is turned. Children will be delighted to discover new wonders as they anticipate Christmas day, while adults will fondly recall memories of holidays past. When read together as a family, it’s simply magical. The pictures are adorable! It is a hardback book with over 10 illustrated pages. Like the song 12 Days of Christmas, the pages countdown the days.